The popular game show of Colors Kannada Channel, Super Minute has completed its third season. Team Manedevru are the champions of Super Minute Season 3 finale . The grand final of Super Minute 3 was aired on Saturday and Sunday at 9.00 PM. The final competition of Super Minute 3 was between the team Gandhari and Manedevru. Each team has got 5 contestants and one among them as the leading member. In the finals there were some tough challenges and both the teams put their maximum efforts. 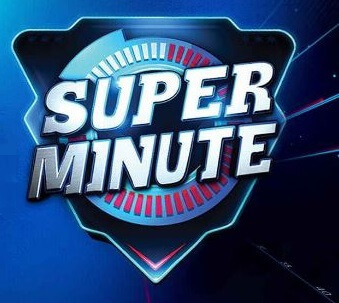 In the super Minute show there will be various challenges and the contestants should perfectly complete these challenges with in the 60 seconds. Super Minute is an interesting game show which is based on the international show Minute to win it. Super Minute is hosted by the Kannada Golden star Ganesh. Ganesh is hosting the show for three consecutive seasons now. In the third season of Super Minute the contestants were from the TV shows of Colors Kannada. Manedevru and Gandhari is the two popular serial of Colors Kannada they were the finalists. Jagan is the leading member of Gandhari and Archana is the leading member of the team Manedevru. The grand finale promos were released in the social medias and was trending. The episodes of Super Minute 3 were telecast in Colors Kannada channel on Saturday and Sunday from 9.00 PM to 10.30 PM. Various celebrities have also participated in the Super Minute game show. Check out the winner and more information about the grand finale of Super Minute 3 below. Gandhari and Manedevru are the two TV show teams competed in the finals of Super Minute grand finale. Golden Star Ganesh is the host of Super Minute Season 3.